3-Day Refresh Review: What is it all about? Most people consider being overweight a big curse, a curse they would do anything to get rid of. Unfortunately, most people have busy lives and can’t spare time to take on the chores required to reduce weight quickly. 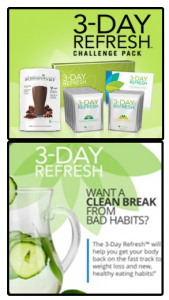 Considering this, Beachbody came up with an amazing 3 day detox to help you get back to your healthy eating habits in just three days. The 3-Day Refresh can help you reduce weight quickly by removing toxins from your body. In other words, it is a set of items that can provide your body with the nutrients it requires to stay healthy. Foods that contain a lot of carbohydrates are the primary reason for weight gain, but the items inside the 3-Day Refresh contain useful carbohydrates. The goal of the 3-Day Refresh is to keep you full of energy, most detox diets are designed to do this. It is considered to be the best detox diet as it also helps you go through your workout routines without feeling tired. This will help you reduce your weight even further. For breakfast, you get Shakeology. The super fruits that are present in it can give you a real boost to carry out all of your morning activities. It is quite tasty as well. For lunch, you get some tasty Vanilla shakes which are packed with energy for your workout routine. You get a Fiber Sweep as well which will clear your stomach and keep it clean from toxins. The 3-Day Refresh can help you reduce weight quickly, but you will reduce quite a lot of weight if you also perform daily exercise.